AXA Group has decided to divest its tobacco industry assets. 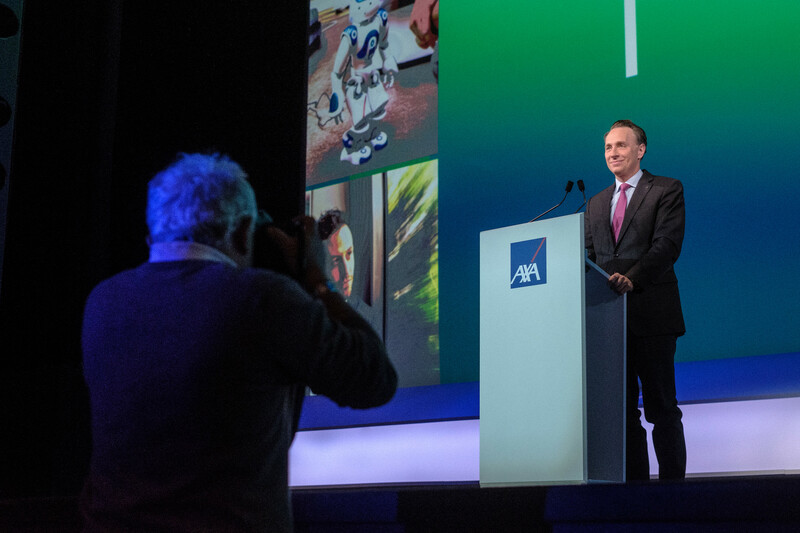 Thomas Buberl, Deputy CEO and incoming CEO of AXA, goes over what this commitment means for the Group. "Tobacco kills six million people a year and costs society more than war and terrorism combined. Yet it is also considered to be an attractive investment offering strong returns. This contradiction means that while doctors, healthcare organizations and governments call for tighter tobacco controls and new rules on point of sale advertising, the people who manage pension funds and investments for you, I and millions of people across the world invest money into the tobacco industry. That is inconsistent and has to change. Bold action is needed to reduce this funding and promote anti-tobacco measures which – ultimately - save lives. As one of the world’s leading health insurers – and one of the leading providers of pensions and investments - AXA believes it has to lead by example. Last May, AXA became the first major insurer and mainstream investor to divest from coal. Others followed suit, which reinforced the transition away from carbon-intensive sources of energy. Now, we’re becoming the first global insurer to divest from tobacco. We will sell all our equity holdings in tobacco immediately, representing just over EUR 180 million. We will also stop all new investments in tobacco companies’ corporate bonds and we will run off our existing bonds, representing a further EUR 1.5 billion withdrawal from tobacco investment. In total our disengagement represents a EUR 1.7 billion effort. I have worked in insurance for most of my career, and I have seen the critical role that insurers can play helping people make the life choices that best suit them, and dealing with the unforeseen problems that can derail the best of plans. As insurers we spend a great deal of time thinking about what risks we can prevent or mitigate. Worldwide, investment in vaccines means that fewer of us are dying of infectious diseases. Medical innovations are delivering more effective and cheaper treatments, which mean that people are living longer and enjoying better health into their old age. Yet at the same time, we are seeing a sharp rise in non-communicable diseases, like cancer, heart disease and chronic respiratory illnesses. The greatest threats are diseases caused by our own habits and behaviors – diseases that are highly preventable. In many cases, the primary risk factor for these diseases is smoking. And smoking is a growing concern in the developing world: while it is declining in Europe and North America, smoking is now being actively exported to Asia and Africa. In Nigeria, for example, the number of smokers by 2025 will be almost four times what it was at the beginning of the century. In Indonesia, over the same period, according to the World Health Organization, we will see over 50 million new smokers. That is not acceptable and can be avoided. As an investor, divesting from tobacco may cost us money in the short term but we know this is the right thing to do in the long run. This action is strongly supported by the Union for International Cancer Control (UICC), an organization helping the global health community to accelerate the fight against cancer, and inspired by the campaigning zeal of Dr Bronwyn King, an Australian oncologist who founded Tobacco Free Portfolios, an organization which shows investors why they should not continue funding tobacco. We hope others will join us and show the world that insurers are part of the solution when it comes to public health, when it comes to prevention, and most importantlyhence when it comes to protecting our customers. We also believe there is a clear moral duty. We cannot continue to finance products that represent one of the greatest threats to public health today."